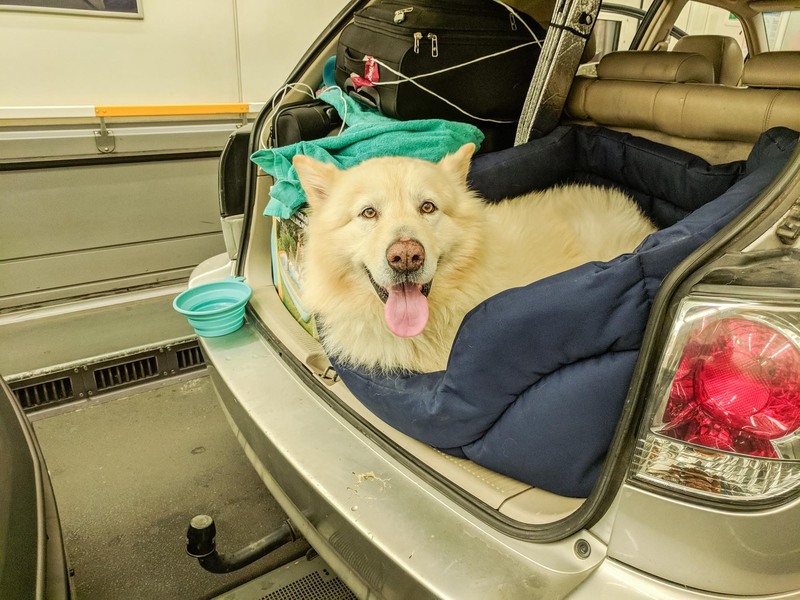 What’s it like taking a dog on the Eurotunnel? 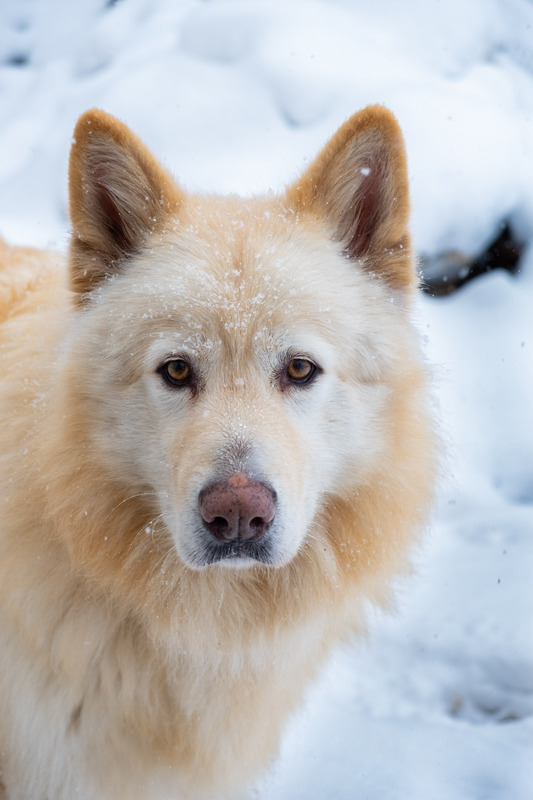 Getting your dog out of the UK (and even Europe) is getting easier every year (well until Brexit was on the cards but for now we’ll ignore that!) and my favourite means of getting to France is still, and has been for over a decade, the Eurotunnel. So what was it like for us taking our dog on the Eurotunnel? We’ll tell you! 1 Why do I love Eurotunnel so much!? Why do I love Eurotunnel so much!? It’s simple, it’s the least stressful and it’s quick. You can arrive in France in just 35 minutes, and you won’t get attacked by the perfume girl, spend your euros on duty free or puke up your guts on a lurching ferry. So really, it’s a win-win for everyone! I love that I can stay with and in my car, it’s doesn’t smell too much of petrol fumes, it doesn’t rock wildly from side to side, I am not forced to co-exist with thousands of other people and there’s no stench of greasy food being cooked. Can you tell I really detest the cross channel ferries!? 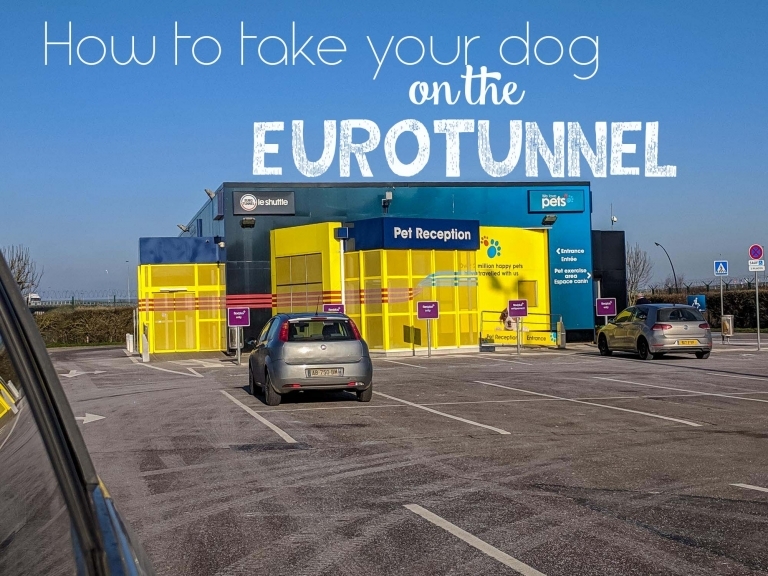 So this is a guide to how to Eurotunnel with your pooch from the UK. 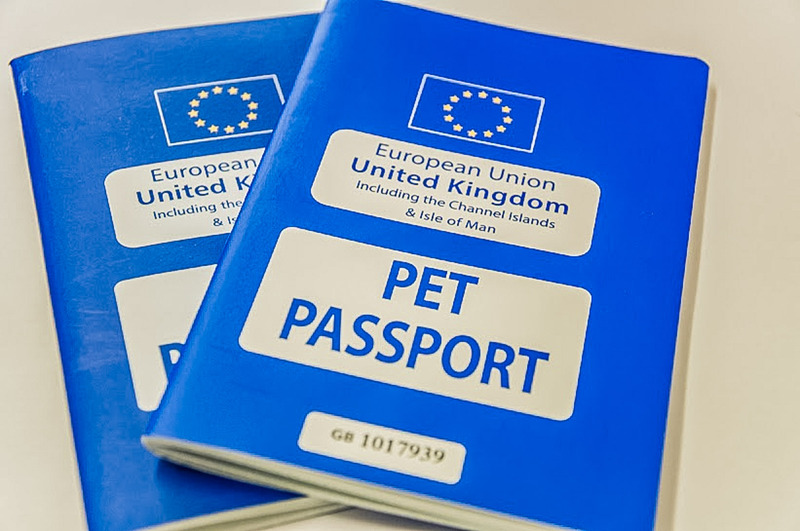 The Pet Passport (www.gov.uk/take-pet-abroad/pet-passport) is the key to taking your pets out of the UK. A vet can issue your dog with a Pet Passport (which costs roughly £30) by administering a rabies vaccination and an identification microchip. A dog then has to wait 21 days from the date of the rabies vaccination before it can travel overseas. 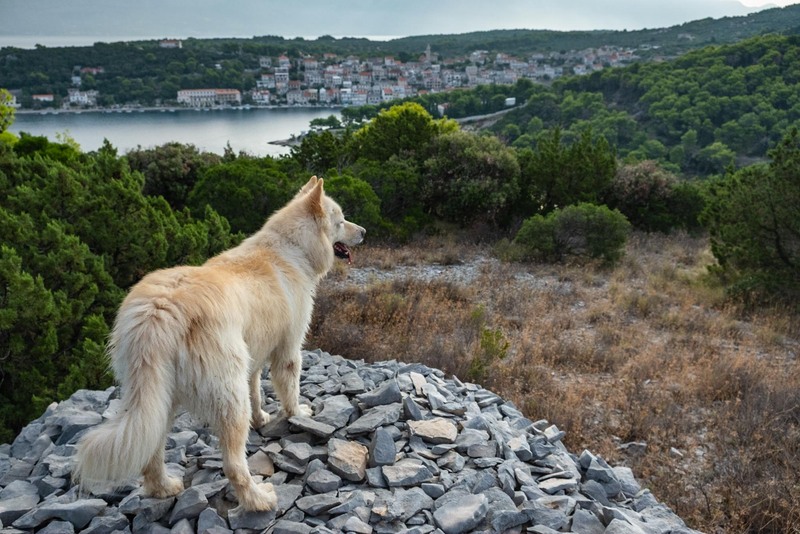 Therefore, if your dog is being vaccinated against rabies for the first time, make sure you do all of this at least 3 weeks before you are planning to travel. 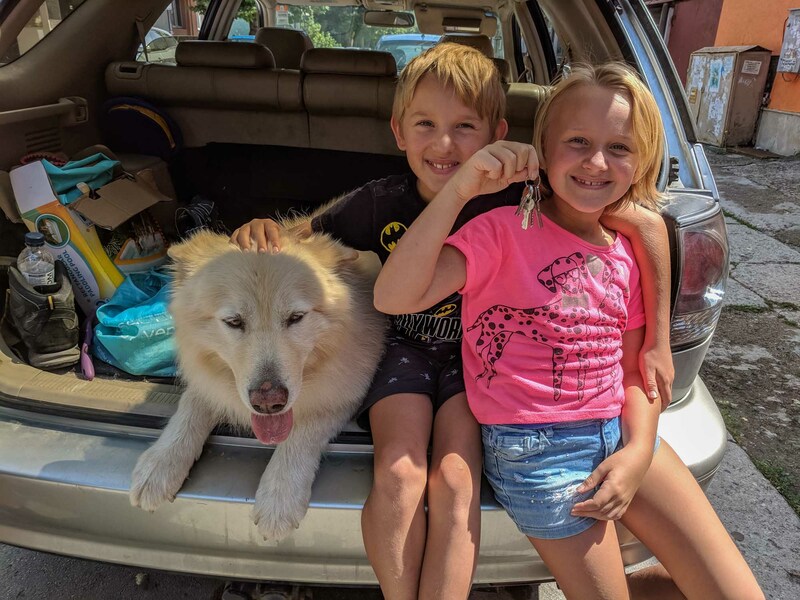 Back in May 2018 we adopted Hachi, a ginormous Alaskan Malamute (link opens in new tab) and have been travelling with him ever since. He’s HUGE, he weighs approximately 52kg and when he stands he’s taller than me. 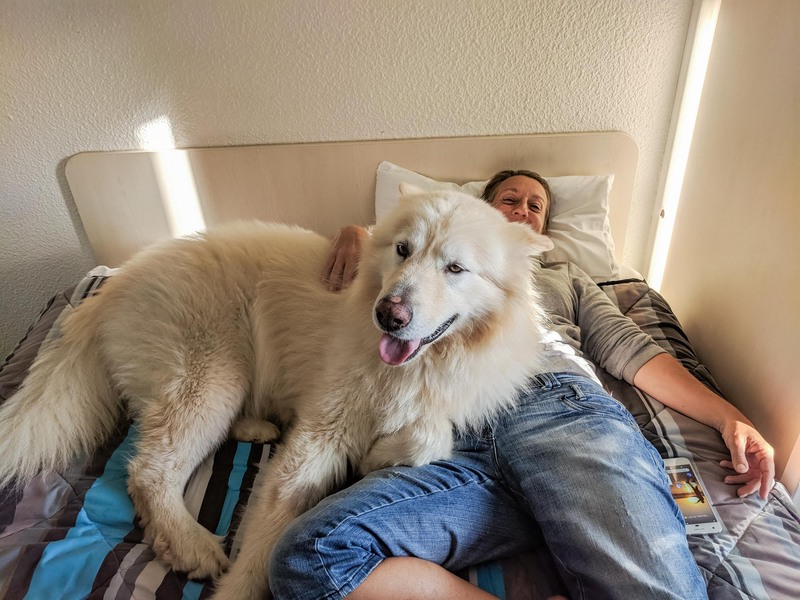 He takes up the entire bed when he comes for snuggles and although he’s a pretty difficult dog to manage we love him to pieces. You should aim to arrive roughly 45 minutes before the train’s departure. Checking in is a simple procedure and mostly automatic through a machine which recognises your cars number plate. Take your printed tickets and attach your train number to the windscreen and proceed to either the terminal or the queue. Nobody will ask any questions about your pets and their passports won’t be checked at this point. We had to pay an extra £19 for the dog on each leg of the journey. There is a fenced area where you can exercise your dog which has a number of ‘poo areas’ as well as equipment for them to jump and climb. We have to muzzle our dog for the protection of others and because he’s quite big, he does appear daunting. We found most other dog owners kept away from us and there were about 10-15 dogs in the park. Dogs are not allowed in the terminal building but can be walked around the car park. Being sat on the train is really no different to driving – except you won’t have an airflow through the car. During the winter months the tunnel isn’t that hot but it can get very humid in the summer months. I’d recommend a car fan for big dogs and also opening the boot during the crossing. Anything to maximise the airflow through the car and keep your pet comfortable. Technically your dog isn’t allowed to walk around during the crossing but due to his size we did keep the boot open at all times. The guards were very nice and friendly towards us and everyone wanted to look at him. Mostly because he fills our entire boot and most people have never seen such a big dog. Upon arrival, you’re pretty much free to go. France is part of the Schengen area (the UK isn’t) which means that you can cross its borders with no passport control. 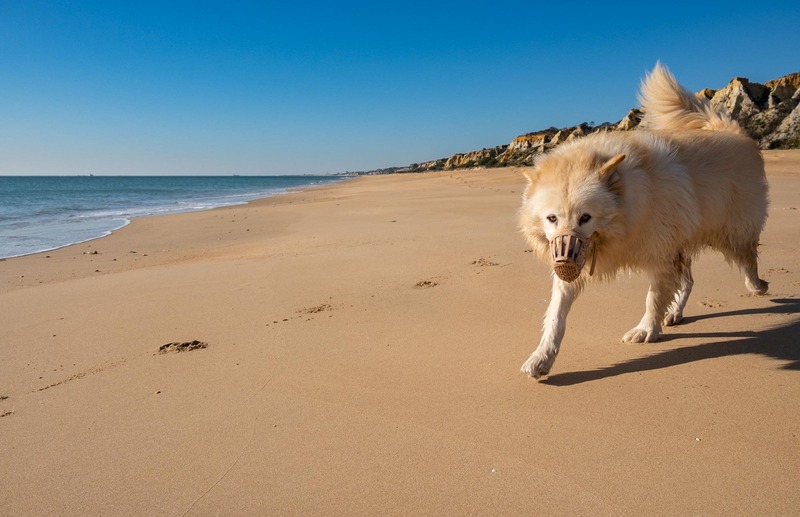 The key requirement for returning your dog to the UK is that it must have Tapeworm treatment, administered by an official vet and recorded in the Pet Passport, between 24 hours and 120 hours (1 – 5 days) before entry into the UK. This is applicable only for dogs and not cats. Full details of the Tapeworm treatment requirements are here: www.gov.uk/take-pet-abroad/tapeworm-treatment-dogs. On shorter trips (weekends away), it’s possible to have the Tapeworm treatment given in the UK before travelling, so long as the timing of the treatment is given between 1 – 5 days before re-entry into the UK. The cost of having the Tapeworm treatment varies greatly. Some vets only charge for the price of the tablet which is roughly €2 however the vet we saw in Portugal charged €50 for the treatment as the dog was weighed and examined thoroughly prior to treatment. 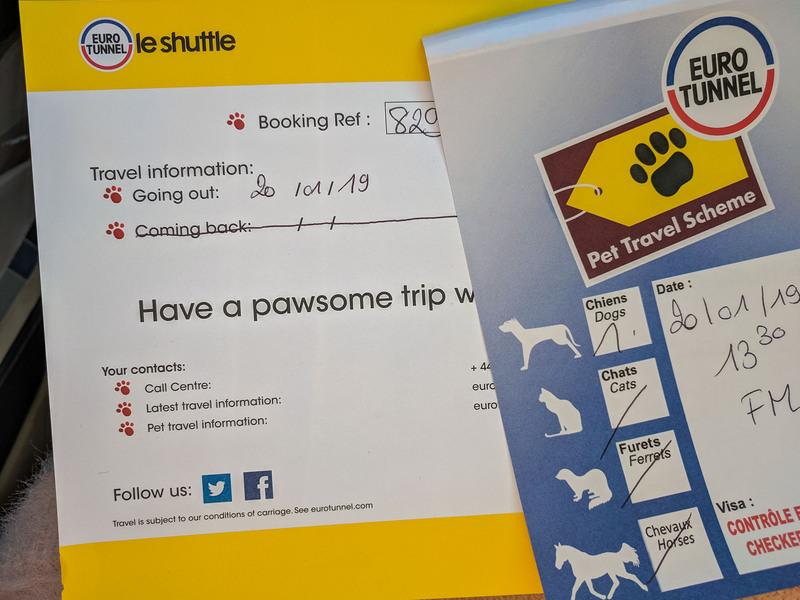 Coming back into the UK, check-in is still very simple but with one additional step – you must follow the signs for the Pet Reception and have your dogs passport checked. I recommend arriving at the Eurotunnel at least an hour in advance. You cannot miss the Reception Centre as it looks like a vibrant and mini Ikea. Your dog will need to be seen inside the reception. On our visits there have roughly 3 agents on the desks in there and thus a number of other dogs. 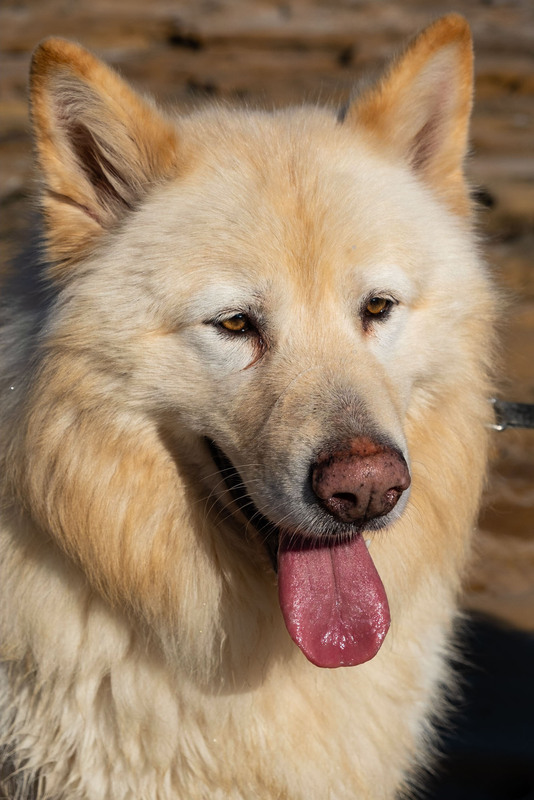 We have to muzzle our dog to prevent him from biting other dogs & he has to be held on a very short lead – all very embarrassing as he thrives around trying to escape! 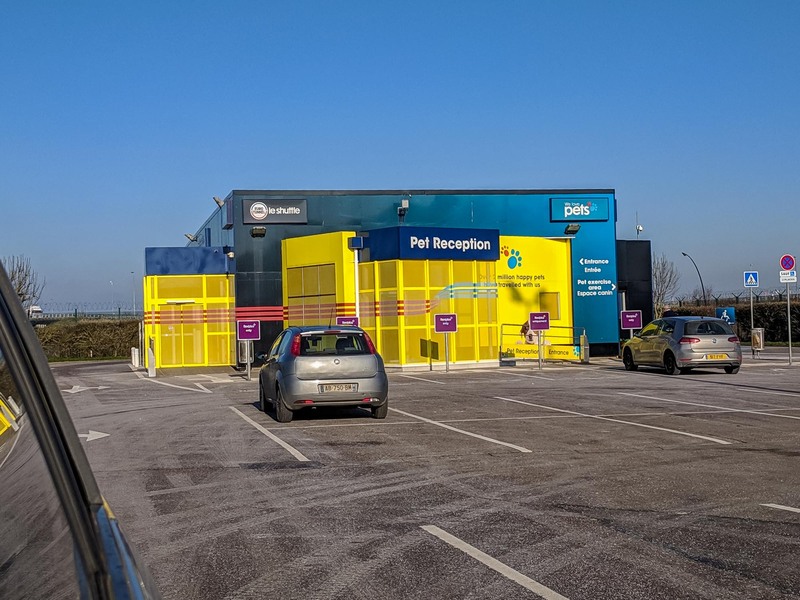 We didn’t visit it but there is a small, fenced pet exercise area at the Departures Area and you can walk your dog around the car park. Dogs are not allowed into the terminal building though. If you liked reading this or don’t have time to read it now, please consider sharing it to your Pinterest board. It really helps us grow as a blog.